As the mobile engagement partner for leading airlines around the world, including Alaska Airlines, Wow Air, Virgin America and Jet Airways, we've learned a thing or two about what matters to passengers and airlines when it comes to providing reliable, real-time, personalized mobile messaging at scale. 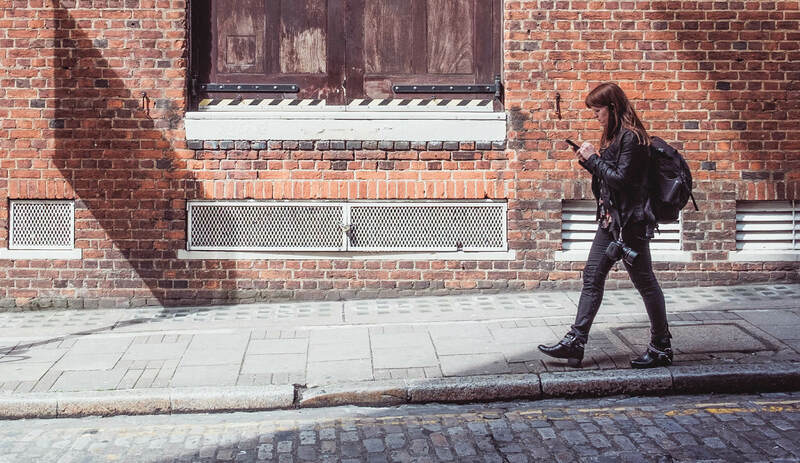 In this post, see what it looks like to deliver a stellar experience on mobile before, during and after your customers' day of travel. Who wouldn’t want a personalized concierge/butler/BFF right by our side during a long and stressful day of travel? 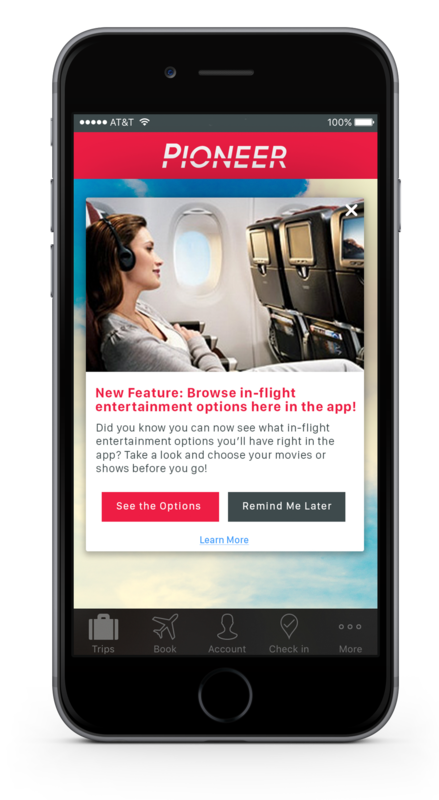 We work with many leading airlines that are creating this kind of hyper-personalized customer experience on mobile. Combining the user-level customer intelligence (like flight times, layover location/duration and loyalty/frequent flyer information) airlines have in their systems with other data sources (like airport information systems, weather APIs, etc.) opens up the opportunity to use mobile to be there for customers at exactly the time and place they need you the most. Creating better connections with customers on mobile also pays dividends in improved brand affinity, customer loyalty, and NPS score/referrals, while helping reduce costly customer service calls, and contributing to increased ancillary revenue through upsells and add-ons. Read on to see how airline industry trends around mobile engagement are evolving — and how you can keep up with ever-growing customer expectations around mobile messaging before, during and after their day of travel. Urban Airship powers mobile engagement for top travel and leisure brands around the world — from Virgin America to Starwood Hotels and Results to the Sydney Airport. 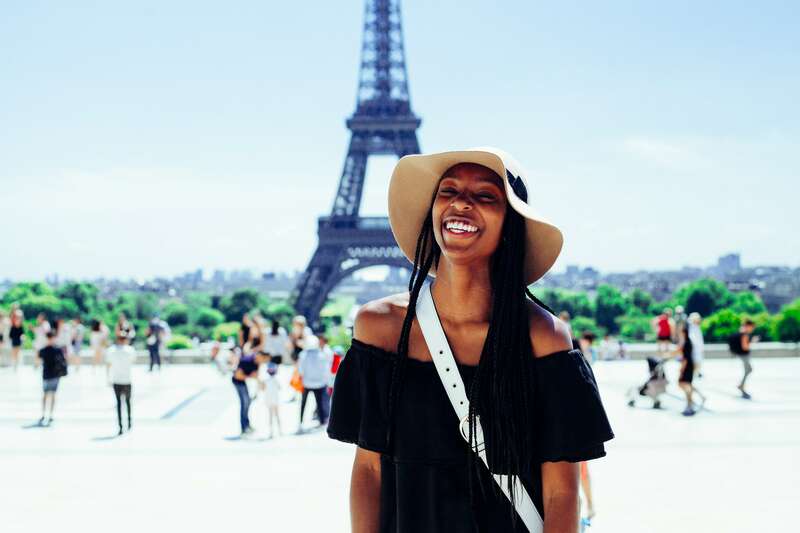 See more of our Travel & Leisure customers. As marketers and customer experience managers at airlines know, it’s important not to overwhelm customers with too many mobile messages on a day of travel. 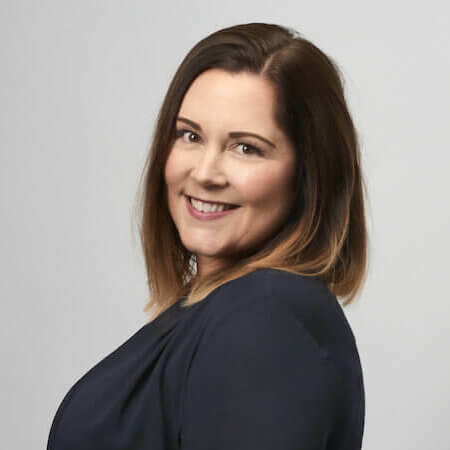 However, it's also important not to miss opportunities to upsell or deliver “nice-to-know” messages that can really improve customer experience. Mixing up your mobile messaging channels — and matching messages to the right mobile messaging tools — is key. Here are some examples of the compelling ways airlines can leverage multiple data sources and mobile messaging channels to make every customer feel like a VIP. 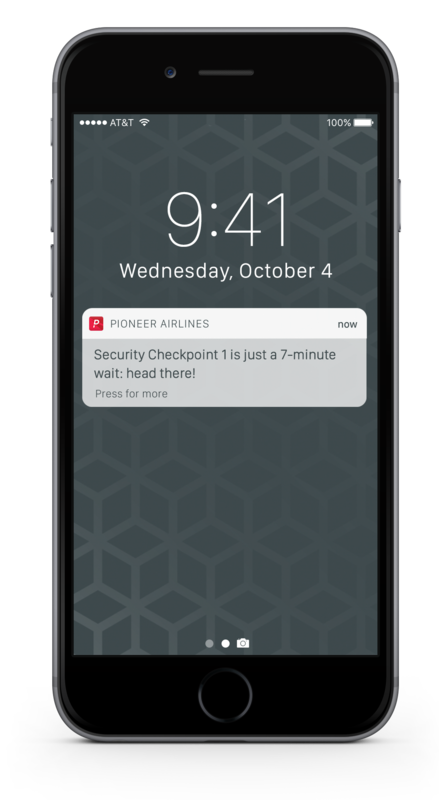 Time Savers: Whether it's directing customers to the shortest security lines or alerting them to gate changes, airline apps that send push notifications to help customers save time are always appreciated. Push notifications are the ideal channel to use for “need-to-know” messages — like reminders to check-in, gate changes, alerts about delays, etc. Airline apps should use them wisely to avoid notification fatigue for passengers. Mobile Boarding Pass Delivery: Once a passenger is checking in online or on mobile, they’re also ready to get their boarding pass. Mobile wallet is the perfect channel for mobile boarding passes. Why? Better customer experience: Don't make customers dig through mobile email to find their pass: mobile wallet boarding passes can stay visible on a lockscreen until the customer gets on the flight so it's always at the ready. Wallet passes update dynamically: A mobile boarding pass that lives in a mobile wallet isn’t static — it can be automatically updated (no user action required) with changes to flight times or gates. Send notifications directly from wallet passes: Proactively alert passengers to changes to updates by sending a push notification directly from the mobile wallet boarding pass. 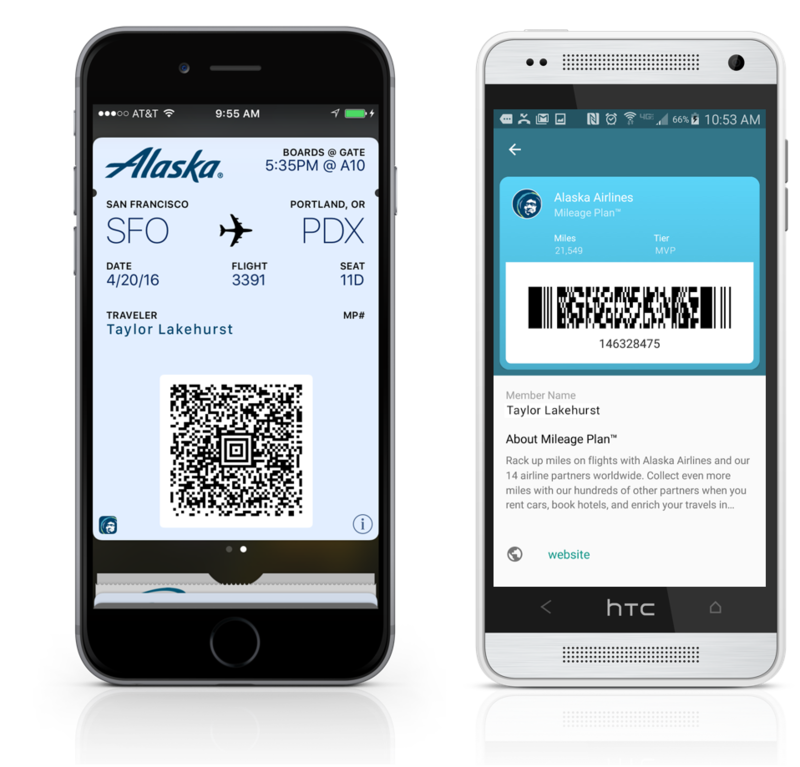 Alaska Airlines uses our mobile wallet solution, Reach to power their mobile wallet boarding passes. Those reasons and more are why Alaska Airlines (ranked number one for the 10th consecutive year in the J.D. Power customer satisfaction survey) uses our mobile wallet solution, Reach for mobile wallet boarding passes. As customers land and turn off airplane mode, airlines can be there to assist. “Here’s where to go for your next flight…” with a link that takes us to a map, including walking times between terminals. “Make the most of your layover!” and link to information about the airport in the terminal the passenger is in — or the one they need to go to for their second flight. App Feature Discovery: As passengers are more likely to be active in your app during a trip, now might be a great time to promote app feature discovery with an in-app message. 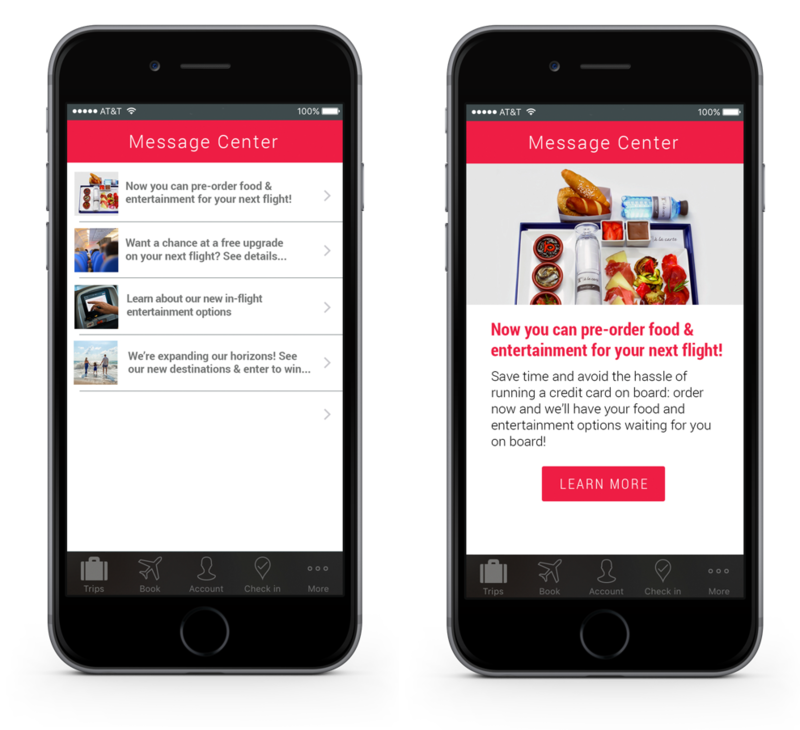 With in-app messaging, airlines can deliver contextual in-app messages (like modal pop-ups inside your app) that encourage feature discovery and adoption, as well as app updates as needed. An app inbox (message center) is a fantastic addition to any airline app. Share information about in-flight perks and amenities, partner offers, FYIs on new destinations — similar to content you use in your email marketing. Use a badge (that little red dot next to an app icon) to alert users that there’s new content in the app for them to see. Loyalty Updates: For loyalty members, an in-app or message center message can remind them of the miles they earned or rewards they could cash in — and their mobile wallet loyalty card can update as well. “How would you rate your flight experience? [Great/Not So Great].” From there, you can choose where to send the customer for the best next step — gathering more information, connecting them with a representative, or asking if they want to rate your app. As passengers plan their next trip, they’re open to airlines sharing inspiring ideas. In fact, more than 50% of travelers don’t have a set destination in mind when planning a trip — and 60% will search their next trip from a mobile device. Inspire: Consider sending an in-app message or rich notification when flights to cities a passenger has visited before go on sale — including rich text images of the destination, or partner offers/packages. Provide Perks: Offer a frequent flyer mobile wallet pass so your customers' up-to-the-minute point status is always just a tap away. Send notifications from the loyalty pass about new offers or point-earning opportunities. Customer experience is everything. The more ways airlines can create in-the-moment mobile experiences that meet travelers’ needs, build better and deeper customer relationships — and grow goodwill, loyalty and value for their business. Our experts have helped some of the world’s leading airlines craft a customer experience on mobile that’s an extension of their brand, and that helps earn and keep customer loyalty. 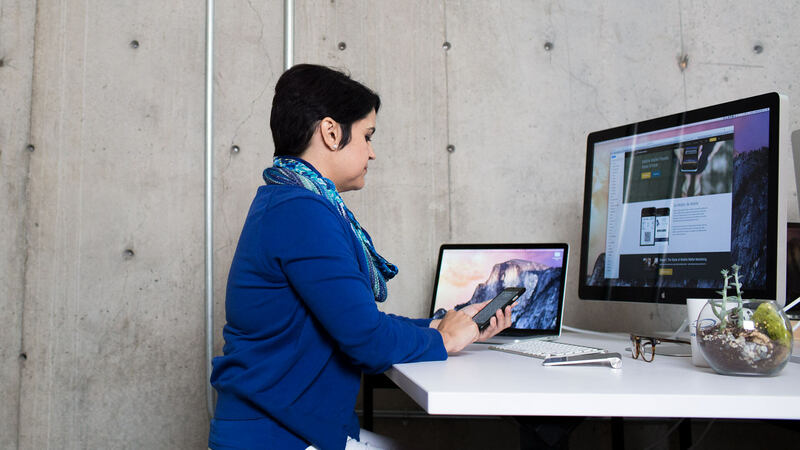 Let’s work together to identify the moments that matter most to your customers, and bring together the data and technology you need to deliver a stellar experience on mobile. Contact us and let’s get started.